I hope you are all having a safe and happy Labor Day weekend. totally enthralled and I know you will be too. I do”. That is also a very sincere statement for me, as well. I have been so impressed with all of Debbie’s posts. She is a very inspiring person. beautiful tribute and love story. Thank you Debbie for all your wonderful and inspiring posts. meet some alpaca's from Peru. Enjoy your visit and have a happy Labor Day weekend. Good morning to You, just adorable!!! There really is something so sweet about those faces! I will be clicking over later on to check out those sites! Have a great week! Thanks for the heads up! I will jump over there for a peek. Aren't they the sweetest, most interesting creatures? 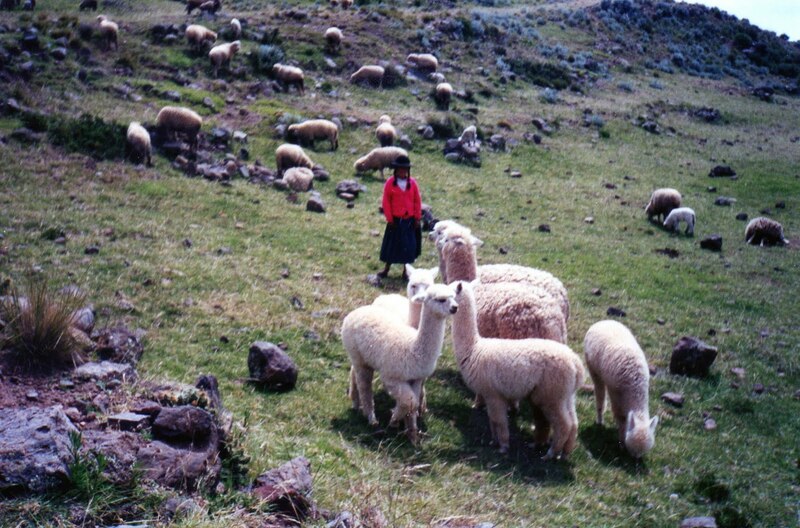 When we were in Peru I as fascinated to see them on the side of the road, laden with market-bound goods. Alpacas are just so endearing. My friend kept a baby as a house pet for a while --she raises them and this one was having health problems. She was so precious. Gosh, Somis...I haven't been there since I was a child but it looks like it has retained its lovely rural character. Hope you have been enjoying a wonderful weekend. HI there - what a lovely post...thank you so much for your kind words, especially about Red. Of course - I love the photo that you selected of the sweet little cria. Those eyes - they are amazing. Have a wonderful Labor Day Monday....I hope I can go to Windy Hill Ranch with you one of these days..that would be something else. This sounds like a wonderful blog! Thanks for the recommendation. I've seen Alpacas on ranches in Colorado. Such sweet and beautiful animals! I love this sweet post and am heading there now. Thanks for sharing your beach personality!!! Hilton Head really sounds like a great place, I have to visit!!! I have to visit Debbie's blog...it sounds enchanting. I love the sweet faces of the alpaca's! Such a sweet post! Making friends through blogging is such a blessing!